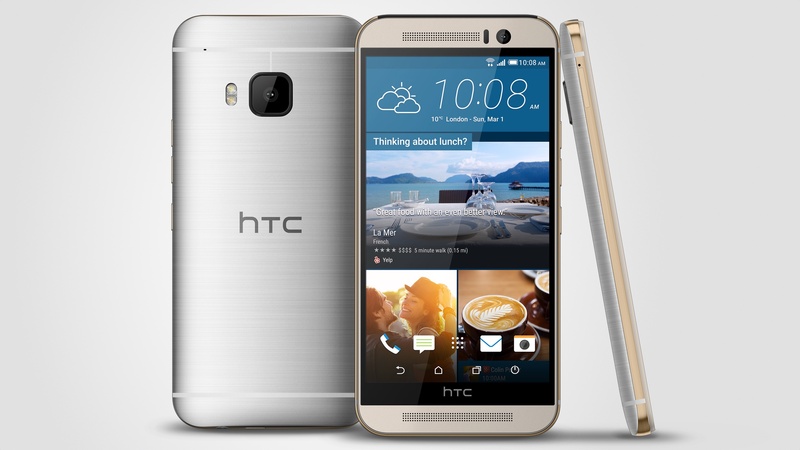 Today, at Mobile World Congress in Barcelona, Spain HTC Announces its new flagship Android phone, the HTC One M9. The phone represents the third addition to the HTC One line following the M7 and last year’s M8. Also announced were a couple new products in partnership with other firms: The Grip Smart Fitness tracker with Under Armour and the Vive VR headset with Valve. Let’s take a look at these products. The HTC One M9 looks a like the M7 and M8 that precede it. That’s not a bad thing, as those are two of the best looking phones on the market. The M9 takes it just a tad bit further with a two-tone finish. The back has an attractive brushed metal look while the sides are mirrored. All in all, it’s a very classy premium look that will satisfy someone who wants more than the plastics prevalent in much of the Android world. The M9 is about the same size and weight as the M8. The screen is the same size as the previous version, measuring 5 inches, with a 1920 x 1080 resolution. Unlike its competition, HTC has resisted the urge to take the One line into phablet territory and stays in the in-between space between a medium-size phone and the larger units. The phone is powered by the 8-core Qualcomm Snapdragon 810 CPU which features both of ARM’s 64-bit quad core chips, the A57 and A53, in a High-Low configuration, and pairs them with Qualcomm’s own Adreno 430 graphic. This is the same chip inside LG’s Flex 2. The lower power 2nd CPU should improve battery life on more mundane tasks. Battery life is also aided by a slightly larger 2840mAh battery. The biggest change comes in the camera. The low-res, but large-pixel Ultra Pixel rear camera is now gone replaced by a 20mp sensor. The new part gives the M9 4K Ultra HD recording capability. The Ultra Pixel is retained for the new 1080p front camera. During the event, HTC touted the camera’s low light selfie performance, but would also apply to other applications, such as video chat. Rounding out the new features are BoomSound Speakers that can reproduce Dolby 5.1 surround sound, BT 4.1, and an enhanced LTE radio with both FDD and TDD frequencies. The One M9 runs HTC’s Sense 7 skin upon Android. HTC did not specify which version, but 5.0 Lollipop would be required to fully take advantage of the 64-bit CPUs. Sense 7 will also be coming to other HTC phones during 2015. The HTC One will come in 4 colors: Gun Metal Gray, Silver, Gold, and of course Pink. It will begin shipping later in March. Exact ship dates and pricing will depend on your carrier. In the U.S., it will show up on all four national carriers. HTC’s second announcement of the day was the HTC Grip, a smart fitness device in concert with sports clothing maker Under Armour. Unlike some of its competitors, the grip is compatible not only with HTC’s own phones, not only with Android devices, but with iOS devices as well. 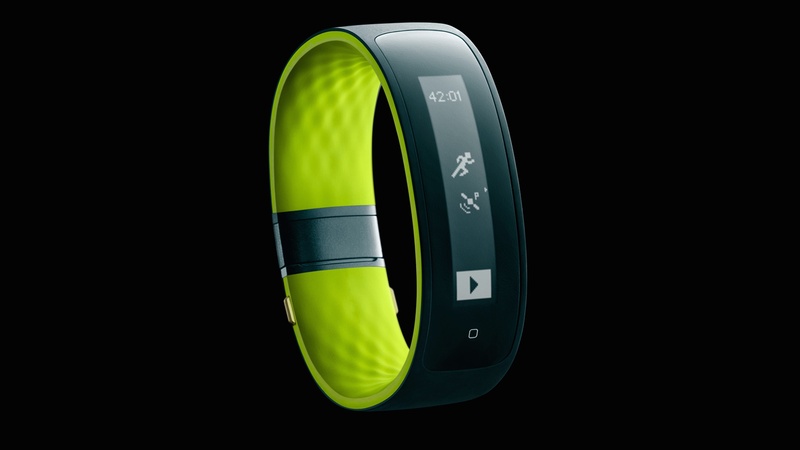 It works with Under Armour’s Connected Fitness environment and will connect to other fitness accessories via Bluetooth. The Grip has 5 different sensors and GPS built right in. It isn’t one size fits all, but comes in 3 different sizes to best fit your wrist. The display is curved, 1.8″ in size, and uses PMOLED technology. It’s fully waterproof and gives you two and a half days of battery life. The screen can also act as a control for the music on your smartphone. The Grip is also social, allowing you group challenges with up to 20 friends. The HTC Grip will ship this spring and be sold at carrier stores, leading retailers, and sporting goods stores. 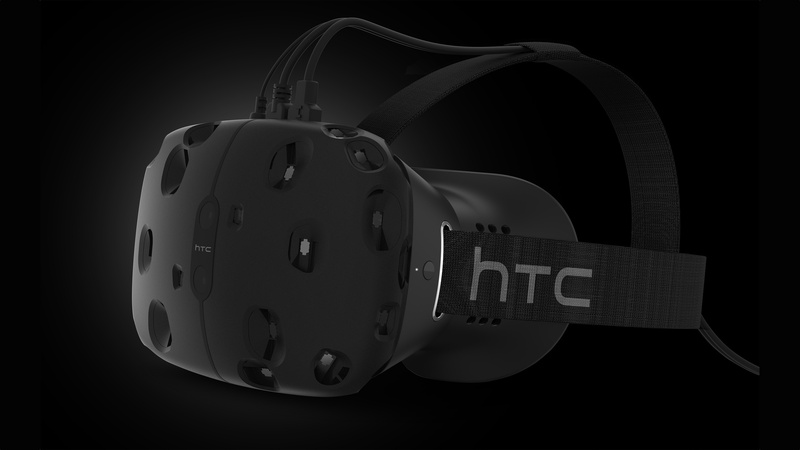 HTC’s last announcement was the Vive. This is a room-scale VR headset designed in partnership with noted game designer Valve. The Vive features 360° room tracking using Valve’s technology and incorporates high end graphics and sound and features an ultra-fast 90Hz refresh rate. HTC is also offering a pair of controllers for the Vive to interact with the immersive virtual environment. They are designed to work in tandem with ease of use baked into the design. HTC has quite a bit of content already lined up for the device from TV/film producers like HBO and Lionsgate to video game developers like Vertigo games, and even museum walk arounds. The Vive isn’t a proof of concept either. Developer editions will ship this spring with a final consumer product promised before the end of the year. For more MWC 2015 coverage, stay tuned to Geek Beat.